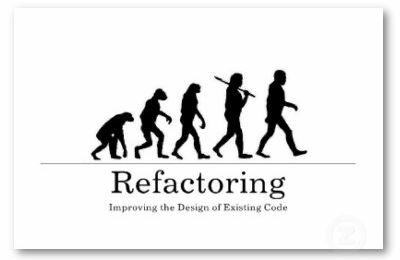 The Principals and Associates of The Refactory, Inc. are the inventors of modern refactoring. Professor Ralph Johnson and Bill Opdyke, PhD coined the term refactoring in Dr. Opdyke's dissertation. Don Roberts completed the second PhD in the field with Professor Johnson. Don Roberts and John Brant developed the first commercial refactoring tools which provide the core principles found in most refactoring tools today. We will take your code that may be reaching it limits of maintainability or extensibility, and evolve the code by applying design patterns and other known principles to a much better design that still works as well as it did before. Our group has been the leader and instrumental in pushing this technology in industry including the only PhDs written on the subject matter and the development of the first automated tools for automatic refactoring. There's no need to continue operating with your "Big Ball of Mud" software architecture. We can help you refactor it into something better without losing functionality or having to learn a new system. We did, after all "write the book" on Big Ball of Mud! The Refactory can assist by providing an analysis of your current system, with an eye toward pinpointing "mud" and "code smells." Our analysis will lead to suggestions for evolving your current system by mentoring, consulting, and training your current team; or we can assist your team by providing the core of your refactoring and collaborating with your internal team on the results. "Utilizing Smalltalk and Java languages, Design Patterns, Object Oriented Analysis and Design processes, and framework design and implementation. It is my opinion that... The Refactory Inc. possess superior academic knowledge coupled with the ability to disseminate that knowledge to our programmer/analysts..." -Daniel Long Sr. Technology Specialist, Caterpillar Inc.